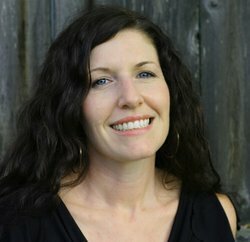 She’s also the author of the novella So Long Lollipops, but recommends you read Book One first before delving into it, unless you’re a sucker for spoilers. Q. Hello Sarah. BQB here. I’ve called you because my friends and I find ourselves in quite a predicament. We’re locked up tight in Price Town, a Wal-Mart-esque store with everything you could ever possibly want under one roof. The security gate is holding for now, but zombies continue to fling themselves at it in an effort to break in and feast on our sweet, sweet gray matter. I doubt we’ll be able to stay here forever. My colleague, Alien Jones, has suggested we all pack a bag full of supplies in case we need to make a run for it. On your Amazon Author page, you note that you have “an unhealthy obsession with bug-out bag equipment.” So please enlighten us, what is in the perfect bug out bag? A. You are in quite a predicament, BQB, but you might just be in the best place. 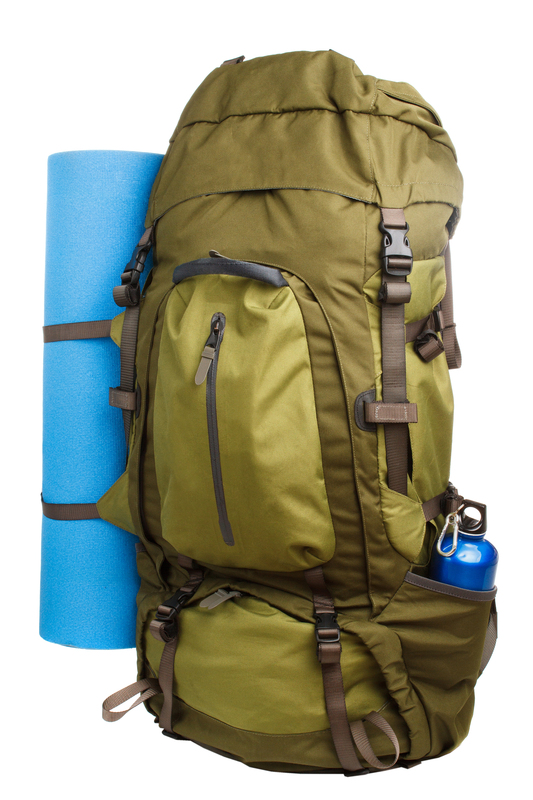 The perfect BOB (bug-out bag, not to be confused with “BQB”) should have everything you need for a situation where you have to leave your digs. Of course, your situation is zombies, so you’re going to need weapons, and fast. Let’s do that first. Thankfully, Price Town has a camping/hunting section. Find a good knife, preferably full tang—one in which the metal of the blade continues to the end of the handle. Guns and ammo (your choice). A machete could work. Thank God! Price Town has a two machetes for the price of one deal! You might as well throw a few more quiet weapons in there, because guns will only call zombies your way. Good screwdrivers: great for an eye socket and screwing things. Maybe a hammer: Plus, you never know when you’ll have to board up a few windows. Axe: firewood and skull-cracking, it doesn’t get any better than this. You should have some tools anyway, or a good multi-tool, so these are dual purpose. Never a flame thrower—Moving zombie torches? No thanks!—although I think Price Town stopped carrying those after that one incident, as I’m sure you remember. BQB EDITORIAL NOTE: I do. It was all over Network News One. A sad day for the flame-throwing industry. Back to you, Sarah. But will it hold my action figures? You’ll need a large backpack. Remember, weight is going to be a big factor. Only put in the things you think you’ll need, and only get a bag as big as you can carry for long distances (and run from zombies while wearing). Use that waist belt to keep the load stable and take the strain off your shoulders. Cool looking? No, but you’ll thank me for it. Now, what else do you need? Water, food and shelter, right? Grab some bottles of water, along with a way to filter more. Water is heavy, and if you know you can reach a natural source of water and make it safe to drink, all that weight won’t slow you down. I have a UV filter, a hiking filter and a Lifestraw. They’re not all in my BOB, but, obviously and possibly frighteningly, I really like water filters. Food: Try to go light on this—cans are great, but they’re heavy, so look for things that come in packets or things such as nuts and dried fruits and protein bars. MREs (Meals Ready to Eat) are a wonderful invention. Not having to cook is always a plus. You can get a backpacking stove if you insist on warming things up. And, let’s face it, a hot cup of coffee or tea may just give you the sanity you need to survive another day. But there’s always a campfire for that. A light cooking pot and metal utensils so you can cook and eat that food. Don’t forget you’ll have to clean out the pot, so you might want a sponge. Clothes: Shelter your body first. What’s the weather like? Pack for it. Stay dry. Ponchos/rain gear may not be the height of fashion, but they keep off rain and zombie guts. Extra socks and underwear (because when being chased by the undead, there are bound to be a few accidents). Also, GLOVES. Make them leather—good for the cold and rough handiwork, as well as keeping those zombie teeth off your skin. BQB’s stain resistant teflon underpants, designed by Dr. Hugo himself. Resistant to all zombie related accidents! Shelter: A tent? Maybe, and only if it’s very light. A tarp? That works, too. Don’t forget rope to string it up—actually, just don’t forget rope in general. It’s a useful item. Emergency blankets will help to keep you warm, and they weigh next to nothing. Wool blankets would be better, and insulate even when wet. A light sleeping bag is awesome. Garbage bags can be stuffed with leaves to make a sleeping pad and get you off the wet/cold ground. Be creative if you don’t have room for the fancy stuff like a tent. Heat: Don’t skimp on this. How much does a lighter weigh? Yeah, next to nothing. How about matches? Put them all in a waterproof container and hunt down a flint fire starter. You should have three ways to make fire. You can make your own tinder but, hey, you’re in Price Town. Get some of that emergency tinder. Or a tube of Vaseline and a bag of cotton balls—works like a dream once you’ve soaked the cotton balls with the petroleum jelly. First Aid: We all know there’s no coming back from a zombie bite, but other situations might arise where you’ll need to play doctor. Throw in some pain-killers, digestion-related meds, and any medicines you take regularly. If you can scavenge them, get some antibiotics. Yeah, you’ll need Band-Aids, bandages and ointments, but you could also need blood clotting agents, gauze, moleskin, tourniquet and a suture kit. These things can be expensive, but, right now in Price Town, they’re free. Go for it! Hygiene: I’m sorry to have to tell you this, but showers may be a thing of the past. Get wet wipes and antibacterial wipes. All purpose camp soap. A small towel and washcloth. And you’re gonna need some toilet paper. Maybe a trowel to bury your, um, leavings. A small mirror can help you to make sure you look your best and be used for signaling. On second thought, don’t look in the mirror. You’re a mess. Lighting: Flashlights, headlamps. Spare batteries (or get a hand crank light). You can’t see in the dark, and you’ll need to see what’s coming. In my BOB, I have several ways to light up my world, and so should you. I also have a solar charger with which to charge batteries/phones. It’s handy and pretty awesome, but it doesn’t need to be at the top of your list. Other things: You’ll want a map of the area. Paper and a pencil to leave a note when/if the gang gets separated, or you’re suddenly inspired to write a poem. A compass and whistle. I have a small monocular as well. It might do you no good in the zompoc, but a BOB should have some cash in it, preferably in small bills. Two-way radios would be great. You want to be able to talk across long distances without screaming—unless you want to end up as dinner. Also, you might want a regular or shortwave radio. You’ll want to hear where to go when the government opens those Safe Zones, or know how to avoid them when they’re overrun by zombies. Because they will be. Q. How did you come about this unhealthy obsession anyway? What’s up with being a “wanna be prepper?” Are we all doomed or is it a better safe than sorry thing? A. We’re all doomed, BQB. Every last one of us. Nah, I really like camping supplies and survival stuff. And I like to be prepared—or at least semi-prepared—because I get edgy when I’m not. I call myself a “wannabe” because I don’t have a bunker or five years’ worth of food, but I do what I can. It’s easy enough to buy an extra box or can of something at the store and stick it in your pantry, right? You’d be surprised how quickly that adds up. Q. While everyone’s packing, let’s talk about your books. How did you get into the writing game? A. I wanted to read a post-apocalyptic book with regular characters who were like me (slightly goofy, pretty snarky and definitely not military experts), so one day I decided to write it. Some of the characters have a leg up in that they have access to supplies, but they’re regular folks who face very irregular events. As the story grew, I became so invested in the world and characters that it turned into a series. I’d never written fiction before, and now I can’t imagine NOT writing. It’s my happy place, even with the zombies. Q. 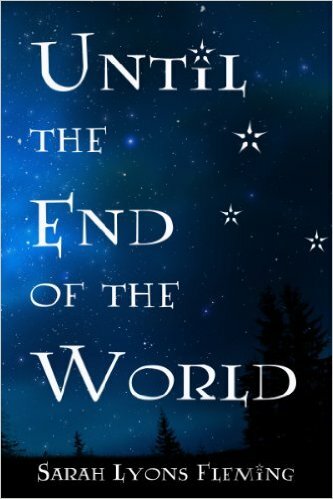 Your tale begins with Cassie Forrest who, according to Until the End of the World’s description, “isn’t surprised to learn that the day she’s decided to get her life together is also the day the world ends.” Isn’t that always the way? Irony, I tell you. I often find myself lamenting that if something good happens to me, something bad must be lurking just around the corner to equal things out. Why is that? Are we all just saddled with bad timing? A. Stop being a pessimist, BQB! You won’t survive the zombies with that outlook. Even with all the hardship and loss, I think you’ll find it will all work out in the end, even when it doesn’t seem possible, even when people you love die. There isn’t always something bad lurking around the corner. Although there probably is a zombie, so look out! Q. Cassie’s obviously made some bad choices, chief among them dumping her fiancee Adrian and dating a jerk instead. To make matters worse, she has to escape a zombifying virus outbreak with said jerky ex-boyfriend in tow. To her credit, she longs to fix her mistakes. Do you think readers identify with a protagonist who isn’t perfect? I know I’ve made a few doozies I’d like to sweep under the rug, so I can relate to someone who longs to take back a bad choice or two. A. For sure. I can definitely relate to that. No one is perfect, as we all know, but I think most of us respect someone who learns from their mistakes and strives to be the person they want to be. Plus, perfect people—or people who think they are—are annoying. They make good zombie bait, though, so you might want to have one stashed away. Q. You’re into humor. I try to be. I heard a rumor this blog made one person in Ohio laugh once, but to date it’s unconfirmed. Where does your sense of humor come from and how are you able to weave laughs into a story about people trying to avoid being eaten by vicious beasts? A. Ha! You’ve made me laugh, so now you’re up to two people. My humor? I suppose it came from my family—no one is safe from teasing, and to make fun of yourself is comedy gold. I think that you need to laugh, even in the zombie apocalypse. If you can’t find anything to laugh about, you might as well lie down in front of the zombies and call it a day. I’m the kind of person who thinks of jokes at completely inappropriate times, so it comes easy for me. Of course, there are plenty of parts that don’t call for humor, but you have to laugh at some point. When I reach that point, I take it. Q. On your blog, “Whatnot,” you talk about all the research you did for All the Stars in the Sky. At least one or two of my 3.5 readers are aspiring writers. Do you have any tips on tracking down the information required to bring a sense of realism to their tales? A. I can’t imagine doing all the research I’ve done without the internet. I’d have to live at the library. Google Maps Street View is my best friend, as are a multitude of random websites. But I also pester unsuspecting people with emails and phone calls. I’ve gotten some good tips that way. I wanted to see the inside of a grocery distribution center for my third book, so I found one by me and contacted the company. And what do you know? I got a tour of the inside by an amused manager who liked zombies. You never know until you ask! Q. Thanks for taking the time to speak with me. Before I go, do you have any last minute advice to help me brave the East Randomtown Zombie Apocalypse? Also, don’t forget to laugh, and never forget you need to surround yourself with good people. You don’t want to laugh by yourself—that just looks crazy. So you’ll need them, both for companionship and to watch your six. Thanks for calling, BQB. Good luck! It’s not really a Walking Dead Reference, just a term used by preppers. Some of them keep a bag full of the essentials ready in case they need to make a run for it. Typically, they’re not really concerned about “zombies” but weather related disasters, hurricanes, tornados, i.e. stuff that can and does happen. In fact, stop by on Day 7 as Gillian Zane will talk about how she started prepping (she’s from New Orleans) after Hurricane Katrina. Sarah seemed like the best author to start the series as she’s into bug out bags and currently, I’m trapped in Price Town with all kinds of goodies at my disposal. Best zombie killing weapon? Alien Jones. BQB here. If you’re just tuning in, last month I was trapped in the East Randomtown Zombie apocalypse. Luckily, I was saved thanks to the advice of #31ZombieAuthors! Yes, these fine writers provided me with their undead expertise and saved my oily hide so that I can continue to entertain you, or at least attempt to do so. So it’s time to reblog the #31ZombieAuthors, starting with Sarah Lyons Fleming, author of the Until the End of the World Series, who taught me how to pack a bug out bag.